Projector Lamp Experts USA is very proud of the top rated five star projector lamps customer service it gives to its customers. You can see live customer testimonials from people who have bought projector lamps from Projector Lamp Experts USA by clicking on the following link, which will take you to the Projector Central website. 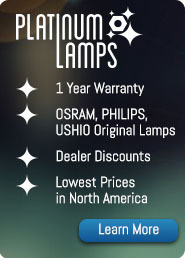 Projector Lamp Experts USA is proud to be a five star rated projector lamp seller on projectorcentral.com, and makes every effort to keep this highly regarded seller rating. I found your company on the web, You had the bulb I needed in stock (No one else had it!). You got it to me on time. Thank you for such service! Good Customer Service! When my email bounced back, they called to verify it was correct. The package was received on time, and was wrapped to protect it from breakage. They sent a sticker to put on our business projector so it will be easy for anyone to reorder a lamp the next time. 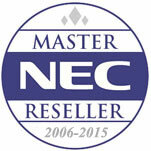 The price was the best I found on the web, but I also did some checking on their track record and affiliations. Based upon my experience, I highly recommend this vendor for projector lamps. I have made a second purchase and received that unit 2 days after ordering the Lamp. I will definitely continue to purchase these products from you to keep my many clients happy. If you have ordered a replacement projector lamp module from Projector Lamp Experts USA and you would like to leave some feedback on the buying experience and the service you had when doing so, please send your comments in an email to feedback@projectorlampexperts.com. Projector Lamp Experts USA appreciates your feedback.